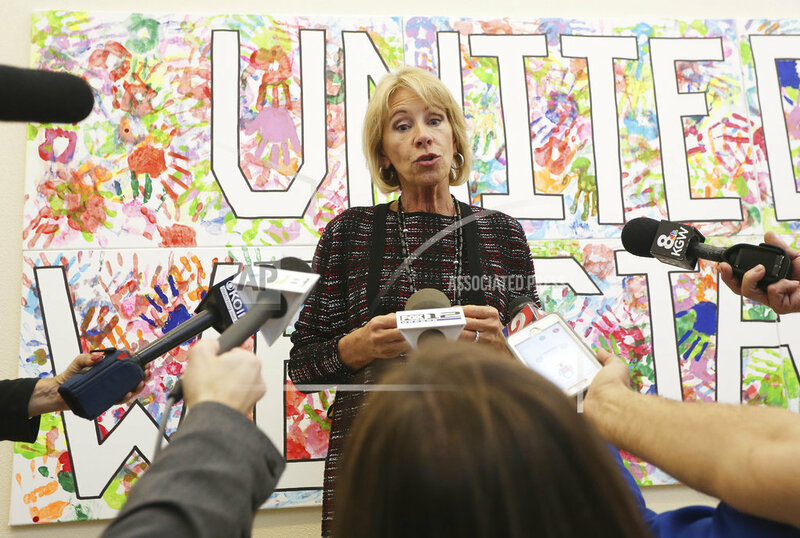 WASHINGTON (AP) — Education Secretary Betsy DeVos has put forth a new set of priorities for states, schools and universities competing for federal grant money. The priorities include school choice, science and technology, special education and school safety. The Education Department awards approximately $4 billion per year in new and continuation competitive grants across some 80 programs, the agency said Thursday. Education secretaries have historically used these competitions to push their priorities. There are a total of 11 priorities on DeVos’ list. After receiving public comments on these proposals, the agency will settle on one or several of them. Promoting school choice has been a key focus of the Trump administration. School choice refers to providing parents and their children with options besides their district public school, such as charter schools, vouchers or education savings accounts to attend private schools. DeVos and her supporters say these options better serve students’ individual needs and can benefit children whose local schools are underperforming. Critics say charter and private schools don’t necessarily outperform neighborhood schools and they lack accountability mechanisms. Sen. Patty Murray of Washington, the top Democrat on the Senate committee devoted to education, criticized DeVos’ priorities as a way to privatize education and said the department should be focusing on supporting local, public education. Tags: Betsy Devos, education, grants, STEM. Bookmark the permalink.